You have a very good page for website, but for some reason you're not getting enough traffic? We suggest to start a blog, and update that blog in regular intervals; the integrated blog function of page4 makes this very simple. It is imperative to keep your visitors interested by regularly posting interesting articles for your visitors, in order to make them come back. The good thing about blog articles is that the Google search engines from (called Google bots) are permanently scanning the web for new content. Since these bots are looking for new products, publishing new articles, and new information on your site will get the attention of these bots. This also improves your ranking at Google and will eventually influence your search position; i.e. where your site turns up in Google searches. The higher you are listed, the more traffic you will get. Obviously about topics that interest your visitors! By means of your website, you generally discussed a topic in which you are an expert. “Expert” always sounds if one has obtained a degree or has done a lot of training. Though this is helpful, that alone does not make you an expert. It is not important to know everything. Your visitors are frequenting your site because they expect to see something interesting. Fulfill those expectations, and right about something that they are interested in. If you have a company website, it might make sense to talk about the current trends in your industry, or to discuss the special features of your own products. News, user guides for your products, general information are all topics which are sure to interest your customers. If talking about a hobby, you could discuss tips and tricks and elaborate on what you personally are doing. If you're doing the website about pets or something similar, there is lots of information available which will interest your customers. Images are always a great start, combined with a few sentences they usually build the structure / the basis for good blog. For photographers, it makes sense to regularly upload new images; nothing captures an audience more than photo and video. However, it is important to keep the focus and not discuss any topic blindly and randomly. The more you stick with your initial topic, the more respect and loyalty you will gain from your visitors. This really works, as all of us keep on frequenting websites that deliver News and info to us. The more frequently you update your blog, the more regular visitors you will gain; and these visitors will see you as an expert. An active blog will help differentiate you site from static websites on which nothing much happens. Visitors love news and variety. Keep your website I life by means of a well moderated blog; it's fun and will help bring your website to the top. From our experience we can say that every article helps to better express yourself, and to better derive which topics your visitors are most interested in. 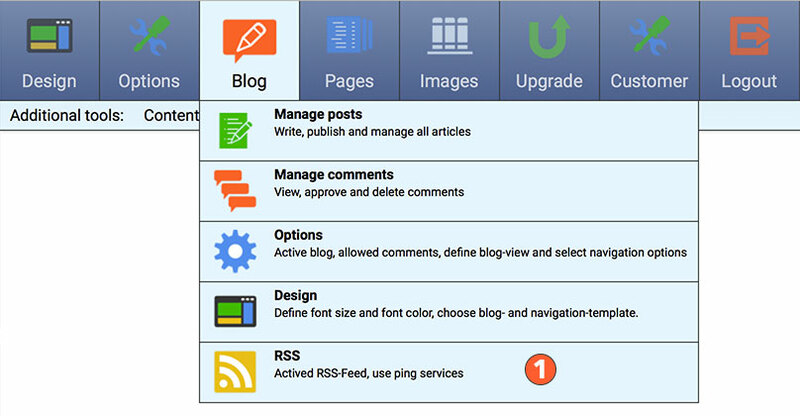 Page 4 allows you to prepare articles for your blog. This particular article was written on June 1, 2016, and we merely changed the dates. After completion and double checking everything, we saved this article and continued with other work. Our page4 system continuously checks for release dates, and will automatically publish the article on the set date. This article will be published automatically on June 16, 2016. You can see the date on the top right above the article just below the name. We will publish some more tips and tricks and one of our next articles. The obvious advantage in preparing articles is that you always have some articles as backup, which you can publish at any time. Has said, it is important to regularly post news. For example: if you wish to publish a new article every 14 days, you could prepare for the entire year by preparing 26 articles. This is a lot of work, of course, and can only be done when writing about timeless topics. The best way to go about this, is to write twice as many articles as you intend to publish - this will allow you to take a break, while still having current news updated on your site. If you prefer to manage your items manually, please set the release date of the article to at least two years into the future. That way you can be sure that the written article will not automatically be published, in case you are unable to attend to your website for a longer period of time. When it is time to publish that article, simply change the release date and leave the rest of the page4. All articles are automatically sorted by date, which can be seen once you have written and saved a blog article. On the right-hand side you will find your articles and on the left hand side the timestamp for these. If you take our advice and prepare articles ahead of time and want them published in 2 years. the corresponding year (eg 2017) as well as the month will be inserted. On the online site, only those articles which were made for this day can be seen. Though the articles are listed chronologically, no future articles are displayed. The good thing about the page4 blog is that you can leave everything up to the system. Like in a published blog, all articles are arranged according to their release dates so your visitors can easily see what is new. This is how easy blogging can be…. Try it! If you update your blog regularly and the content is liked by your visitors, it is likely that they will subscribe to your blog. All you need to do is activate the RSS feed; this will display a link below the blog that reads “Subscribe”. 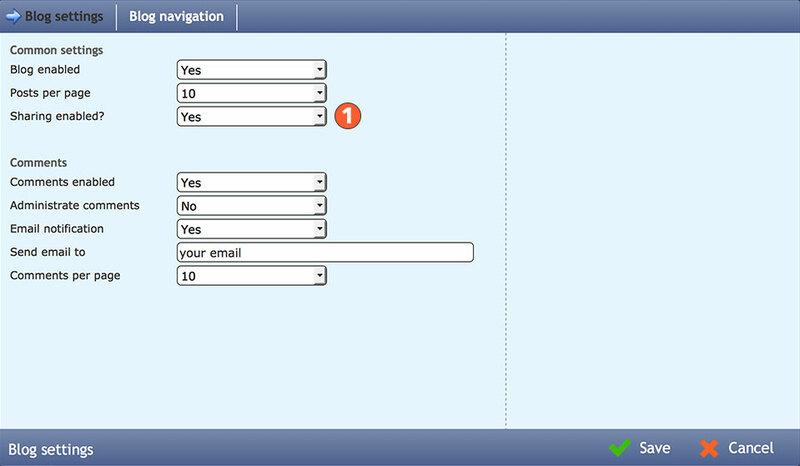 If a visitor clicks this field, he will have a direct connection to your blog and will be informed about any updates automatically. You can also add a ‘share’ button. By this, blog articles can be shared on social media; our blog has this option as well. If you use Facebook, Twitter or whatever you may share our articles - we have no problem with that. The more is shared, the larger the audience will be and possibly generate traffic that has never been on your site before if they see something they find interesting. If you want more visitors in more traffic on your website, but don't necessarily want to spend money on advertising, you should definitely begin with blog articles. They don't have to be very lengthy. Sometimes a simple picture with a few words is more than enough; just as you probably do in Facebook, if you are a member there. Why not write an article for your blog on your website, and then share it on Facebook, and solve 2 problems in one go. The most important thing however, is to just start writing! Allow your visitors to leave comments and feedback, and you will see just how much fun it can be to keep a website updated.